It is an awesome season. We are not even half way yet and what we have seen so far can already make up for the rest of the season. Wildlife in numbers is always a spectacular scene. This is what is happening at Lake Manze. Herds of hundreds of zebra, wildebeest and buffalo rule the plains and the woodlands.Birdlife is phenomenal, given the conditions there is a struggle for every fruiting or flowering plant, others take advantage of the concentration of insects at such locations, the whole place is full of life and the fact that life and death is a fine line. All this brings to life a very important interaction throughout the food chain, predators at all levels and prey at all levels. If we all go back a season or two ago, I wrote a lot about the Manze pride of which I used to call “The greedy pride”, they are back in action and taking every opportunity at hand. Great sitings of them hunting and killing or at least just the attempt have been and everyday story. It is not often one gets a chance to witness such events but when you do!! !…….., some may think it brutal and unfair but the truth is, it is a matter of surviving and as the law says “Survival for the fittest”. Those who cannot fend for themselves shall surely perish. 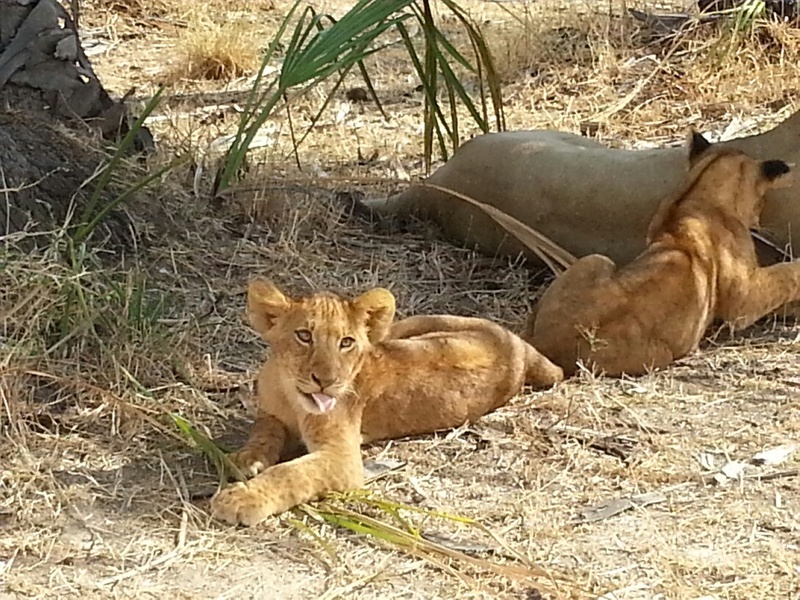 There are new members to the greedy pride, they now roam with four cubs. Our three muskerteers couldn’t be left behind and have now pretty much settled at Manze, there’s such an abundance of food one would be a fool to find anywhere else, well….. at least for this dry season. Elephants have very much concentrated in the palm forests where fruit with the help of baboons is still an option. Breeding herds roam the Beho Beho area introducing the young ones to a healthy location that in one way or the other covers most of their basic needs, a perfect refuge in these dry times. 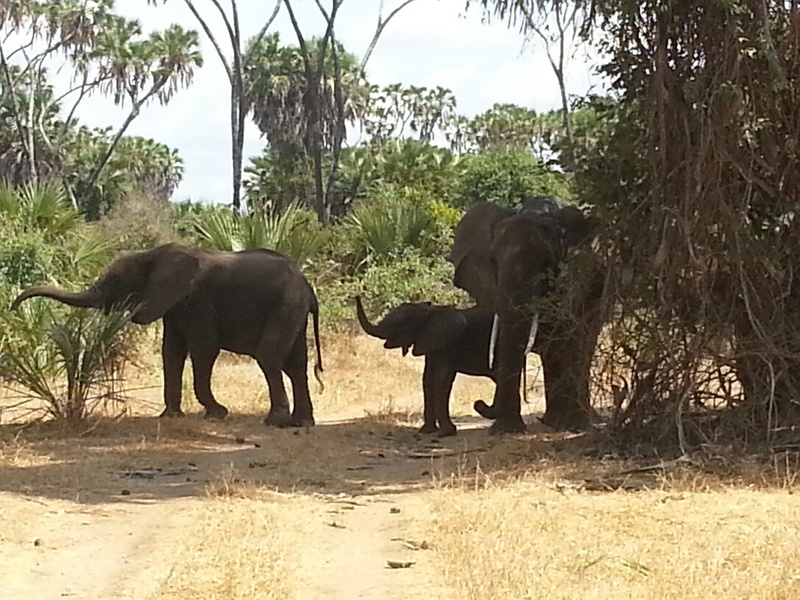 Walks have been amazing, as I said elephant’s and large, herds of buffalo, hippos and lions. If it’s a thrill you are looking for that will leave you with the best experience in your life, there is no better way than a walk in the Selous. I have been having the time of my life since I started walking and indeed to me there no better feeling than sharing these moments with others. 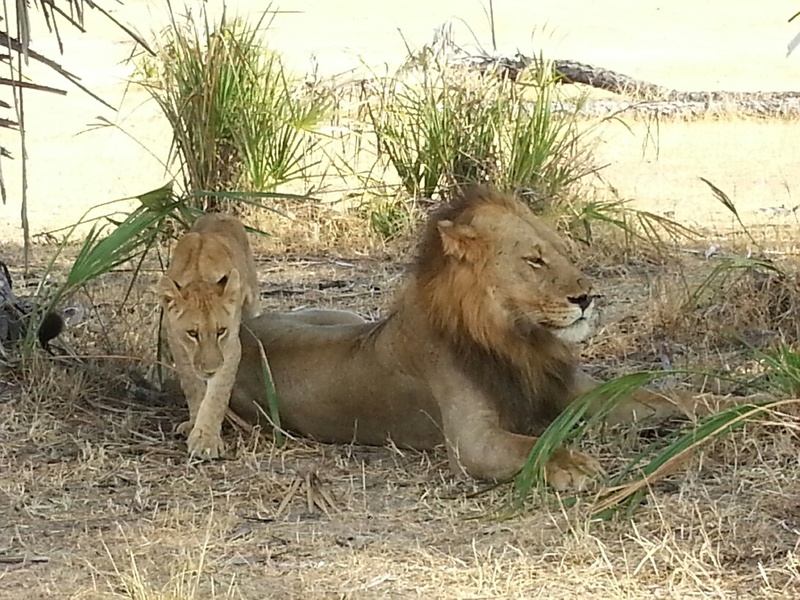 This entry was posted in Heribert, Wildlife and tagged Beho Beho, camp, elephant, Heribert, lions, safari, selous. Bookmark the permalink.